Product prices and availability are accurate as of 2019-04-18 09:24:49 EDT and are subject to change. Any price and availability information displayed on http://www.amazon.com/ at the time of purchase will apply to the purchase of this product. Learn to play guitar and sing with your whole family! For parents and older children, the software features simple lessons that make it fun and easy to play songs on guitar right away. For pre-schoolers, toddlers and infants, the software includes entertaining teaching segments with our playful puppet Capo who helps the instructor introduce musical concepts then dances and sings along with the music, encouraging younger children to do the same. The software also includes printable coloring book featuring musical themes from the featured songs. 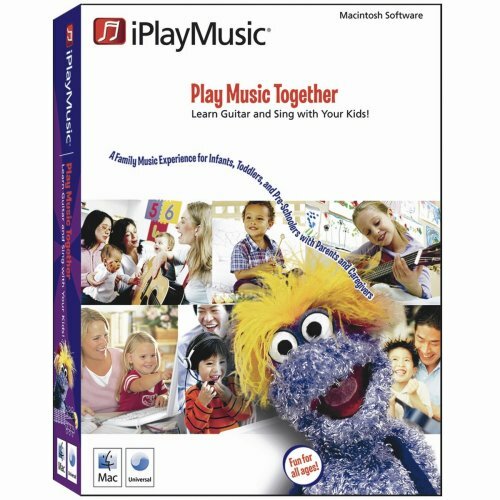 Each popular song featured on Kids and Family Music Lessons for the Mac includes a full GarageBand project file, complete with instrumental and vocal tracks. Users can share their performances using iTunes, or easily create a podcast using eyeball videos can be exported to iTunes and the video iPod.